Inspired by the potential enhancements to scholarship, teaching, research, preservation, access, academic achievement, and as well as operational and economic efficiency, six planning task forces representing diverse academic settings convened to analyze academic needs, review trends and formulate potential solutions. A new vision emerged from this process -- one that set forth an integrated and dynamic approach for higher education by supporting teaching, learning, research, and service in Indiana’s seventy-three colleges and universities. The Academic Libraries of Indiana, a not-for-profit consortium, took the lead in 2003 to manage this tactical and strategic cooperation. ALI cooperative projects address the rapidly shifting trends in teaching, learning, and scholarship that have an increasing impact on student success, faculty excellence, and economic development. New and emerging curricular and research trends, pedagogical styles, changing classroom and academic technologies, burgeoning network bandwidth support needs, shifting scholarly communication models, and increased faculty and student expectations for access. A stronger information infrastructure that also provides enhanced information content is critical for economic development in the state. The Academic Libraries of Indiana has a 501(c) 3 non-profit corporation status that enables it to best address our collective needs and implementation strategies. This non-profit status allows ALI to seek private and federal grant funding as well as state funding through Indiana partner organizations, such as INCOLSA, the State Library, and the Indiana Commission on Higher Education. To qualify for membership, academic libraries must be part of a not-for-profit institution of higher education within Indiana accredited by the Higher Learning Commission of the North Central Association of Colleges and Schools or the Association of Theological Schools. Participating libraries pay an annual fee to fund ALI’s administrative costs and core services that are available to all members. Currently all seventy-three academic libraries in Indiana are members of the Academic Libraries of Indiana . All additional projects are voluntary, with costs shared among specific participants or funded by grants. The governing group is the membership composed of the library directors of the member libraries or their designated representative. The membership adopted Articles of Incorporation and Bylaws . The membership has the sole authority to adopt the annual budget, the strategic plan and to deliberate and consider other matters referred to it by the board of directors. The sixteen-member board of directors is composed of board representatives selected by each of the following constituent groups: Privates - PALNI members (3); Notre Dame (1); another private college or university not a member of PALNI (1); Publics - Indiana University Bloomington (1); Purdue University, West Lafayette (1); other public universities (Ball State University, Indiana State University, IUPUI) (2); IU/Purdue Regional Campuses, Southern Indiana University (2); Ivy Tech/ and Vincennes (3); Independent Professional School Libraries (1) and one at-large member (1). The board of directors has the authority to take charge of, manage, and conduct the business of ALI, including formulating a strategic plan and proposing an annual budget plan for approval by the membership. The membership elects the officers of ALI, who must be members of the board of directors. In 2005, a committee was appointed to review the governance structure. The day-to-day operation of ALI projects is accomplished through a combination of hired staff and advisory committees representing the member libraries. Wherever appropriate, ALI will contract with INCOLSA or member libraries to implement or manage discrete projects. In response to increasing demands for immediate access, ALI members offer full text content online. Through member cooperative programs, the interlibrary lending and delivery system supporting access to all Indiana academic library collections will be improved. ALI members also initiate a collaborative approach to the preservation, storage, and on-demand access to lower-use, but still vital, print collections. Expanded online academic content: Building on INSPIRE, a state-wide package of databases and full text resources available to all Indiana citizens, members of ALI will identify a core set of significant full-text academic resources to further enrich information content accessible by all our students and faculty. In addition to academic content, ALI provides an organizational environment for members to partner in the purchase of electronic information resources of consortial interest. Improved access to collections: A cooperative program of interlibrary lending has been in place for decades, evolving with technology, and continuing to improve as individual libraries have upgraded their internal operations. With collaborative actions, significant improvements in service, access, timeliness, and flexibility have been realized. Digital repository: Drawing on the advanced digitization skills held by Indiana librarians as well as models for collaborative digitization projects in other states, ALI creates a shared platform of digitization standards, IT equipment, training and search systems. Cooperation using shared standards enables cultural and scientific heritage repositories to create digital versions of their rare and unique collections. To the extent permitted by copyright and license agreements, ALI members will make digital images available to all citizens of Indiana and beyond. Integrating digital collections with other Internet projects provides a Web-based repository for Indiana’s unique culture and history. Collaborative preservation and storage facilities for physical collections: ALI’s initiatives to improve access to full text content are enhanced by simultaneously supporting Indiana academic libraries’ responsibilities to preserve and maintain their print collections in order to sustain access to the scholarly record. 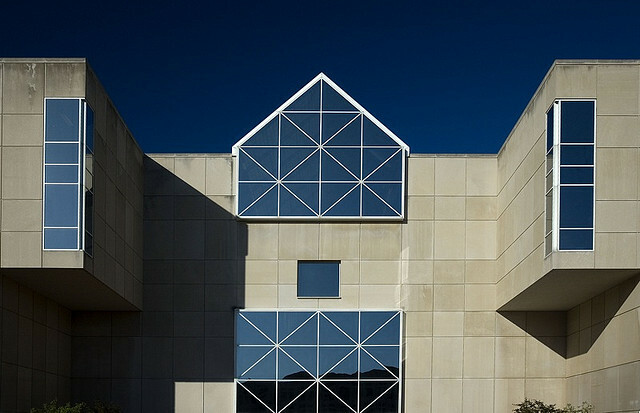 A cooperative preservation and storage plan enables ALI to leverage Indiana University’s considerable investment in storage facilities in Bloomington. The cooperative preservation program allows academic libraries to allocate limited resources more effectively amid the growing tension between loss of purchasing power or outright budget reductions and continuing demands for new and improved services. Access to special collections and unique resources: Indiana’s academic libraries hold thousands of unique and valuable materials in special collections and archives previously available only to scholars willing to travel to those libraries. Digital, 365/24/7 repositories connect the user to this information content without the cost , effort, and inconvenience of travel. Academic Libraries of Indiana members seek to expand the boundaries of faculty and student scholarship by creating common search environments and an infrastructure that catalogs, aggregates, digitizes and distributes these information resources quickly and efficiently. Such an infrastructure also sets the stage for future partnerships outside of academe, e.g. the Indiana State Library and the Indiana Historical Society. Tools for accessing web-based resources: Simultaneously searching of multiple digital resources available in academic and non-traditional settings connects students and faculty to high quality resources and specialized subject guides. Virtual Indiana academic library catalog: A virtual or “union” catalog enables students and faculty to explore, discover and mine the substantial information resources of all academic libraries in the state in a single search, regardless of where the searcher is located or the information resides. Academic Libraries of Indiana supports economic, community, and educational development by making the scholarly record accessible in support of grants, contracts, projects, entrepreneurial ventures, and government initiatives. Students at schools and colleges in Indiana learn how to identify, access, evaluate, and apply information they obtain through their libraries, thus preparing them for vocational success, lifelong learning, and democratic citizenship. An educated citizenry attracts businesses that desire access to this educated workforce. Although located on college and university campuses, academic libraries are public spaces. They attract visitors, leading to increased foot traffic in the vicinity of the library, and income associated with visitors to our campuses. Increased visitor usage makes a campus more vital and vibrant. Academic libraries provide a gathering place for groups who support our institutions, such as alumni, donors, friends, and individuals engaged in study. They knit together our campuses, and reach out to our communities, drawing in those interested in the graphic arts, literature, theater, music, and cultural arts. Academic libraries enhance an institution’s sense of pride and community. The Academic Libraries of Indiana members are engaged in the advancement of economic development and growth for the State of Indiana both individually and collaboratively. Academic Libraries of Indiana initiatives are based on the foundational principles of librarianship: quality information content, easily accessible to all members of the higher education community, preserved in digital and print repositories that assure its accessibility now by faculty, students and researchers as well as in the future. Strengthened by communication and collaboration, innovative application of new and emerging technologies, and a sharpened focus on economic impact, Academic Libraries of Indiana is positioned to identify quality information content, make it widely and readily accessible, enable successful use of information resources, and preserve the scholarly record for the State of Indiana.